Do you love Native American art, craft, and other historical elements, which mark and identify a time before modern America came to existence? Native American gallery isn’t just about embracing the original craft-works but mostly, to let people explore the creative possibilities on a piece of art and a gallery, which comprises a collection of such compositions. For those who believe it is a tradition of the learned and the interested to view and learn about historical aspects of contemporary art – the online gallery by Navajo artist will serve as the best platform for enthusiasts to look at some of the most unusual, intriguing, and enamoring concoction of history and proficiency. If you define Navajo Art and everything that’s related to the Navajo tradition – a member of the American Indian people of New Mexico and Arizona – primarily the Southwestern United States. 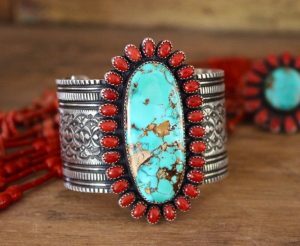 More than their origin and location, their skill on every level from Navajo Rugs, Navajo Sand-painting, Navajo Indian-jewelry, and other Native American Art & Crafts is remembered and collected as something impeccable. To understand their rich history of art, craft and other trades can be yours to figure out, what you deserve, and that’s just something you’d be happy knowing about if not adding to your kitty. Those who mark their walls and homes with paintings – you can find ones with the most prominent themes – a reflection of their take on philosophy, spirituality, legends, histories, and the expression of their thoughts, beliefs, and emotions. Bridge the gap between you and the distinct platform by acquiring the best products – Coin Purse, Jewelry, Mugs, Rags, Wallets, and more. from Navajo, the leading source of an excellent representation of contemporary art and craft.